Click to see our feature on WQED Digital First PIttsburgh ! 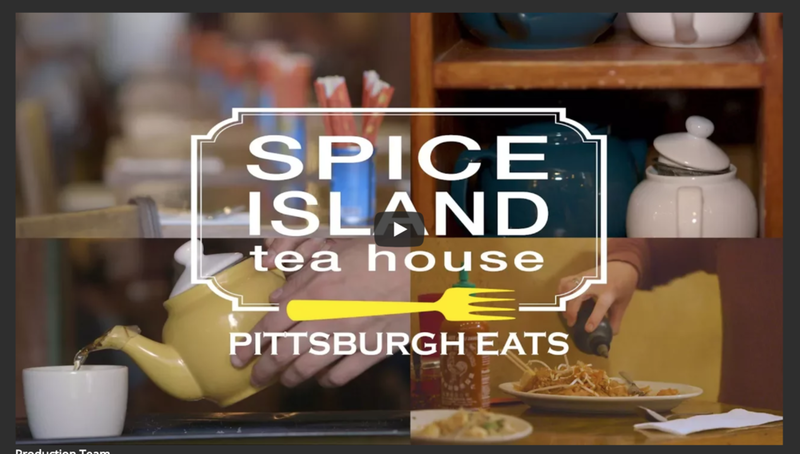 Since 1995 Spice Island Tea House has pioneered the Pittsburgh restaurant scene into the culinary world of Southeast Asia. With its diverse menu featuring Thai, Burmese, Indonesian, Malaysian, and Singaporean cuisines, Spice Island Tea House continues to enliven the evolving palate of its clientele. *Last seating 15 minutes before closing time. To see current menu, please click here. For delivery, please visit our preferred delivery service by clicking here. Darjeeling (India) - “Champagne of teas” from NE India. Assam (India) - Rich, hearty full-bodied, and strong. Ceylon - (Sri Lanka) - marked by its deep flowery aroma. Keemun (China)- “Burgundy of Tea” for its rosy bouquet. Ti Kuan Yin (Iron Goddess of Mercy)- Most acclaimed of the Oolong teas. Chun Mee "Precious Eyebrow" (China) - Twisty, long green leaves, slight plum, veget. Genmaicha (Japan) - Green Tea with roasted puffed rice. Toasty, vegetal with much less caffeine. English Garden - Rose petals, blue lavender, rosehips, raisins, and mango. Lavender and Chamomile - Soothing, calming, and therapeutic. Goji Long-Life Blend - Goji berry, chysanthemum, and licorice. Saigon Blend – Lemongrass, mint, licorice. Himalayan Spice - Choice black tea with our own house spices. Three Blossoms - Jasmine green tea, black tea, chamomile, rose petals. Moroccan Mint - Pinhead Gunpowder and peppermint leaves. Jasmine Green Tea - Green tea scented with jasmine flowers. Mango Indica Tea - A black tea flavored with dried mango. Orange Spice - Black tea with dried orange peel and spices. You can also email us at inquiry (at) spiceislandteahouse.com.